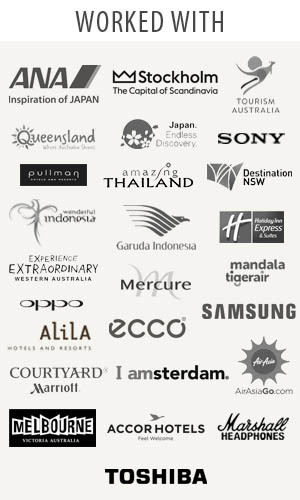 Traveljunkieindonesia.com– I have some pretty cool itinerary to share! I have been invited to attend Familiarization Trip Tanjung Puting National Park. Yes, it was AMAZING! Tanjung Puting National Park is one of Indonesia’s highlights, and not just because of the enigmatic primates living in its maniacal forest. Coursing the river at a leisurely pace aboard a klotok or in a motorised canoe is as much a part of the experience. Wall of pandanus fringe the water’s edge, beyond which proboscis monkeys and impudent macaques leap across the forest canopy. Joining them in less ostentatious fashion are sun bears, wild boars, clouded leopards, pythons, gibbons, porcupines, sambar deer, crocodiles, the giant bornean butterfly and a wealth of bird life. 09.15 – 10.25 AM. Journey from Soekarno-Hatta Airport in Jakarta to Iskandar Airport in Pangkalan Bun. 11.15 – 11.45 AM. Kumai Dock, to watch traditional dance and silat (traditional martial arts) performance. 11.45 – 14.00 PM. Trip to Tanjung Harapan post in Tanjung Puting, using klotok boat. 14.00 – 15.30 PM. Visiting the feeding site in Tanjung Harapan. 15.30 – 18.00 PM. Visiting Sei Sekonyer Village. 18.00 – 19.00 PM. 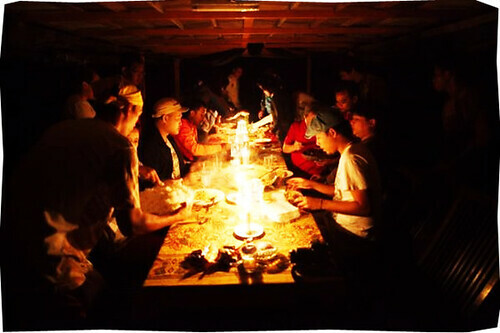 Candlelight dinner in klotok boat. 21.00 – 07.00 AM. Spending the night at Rimba Eco Lodge. 10.00 – 16.00 PM. Journey to Camp Leakey, visiting the information center and feeding site here. 19.00 – 21.00 PM. 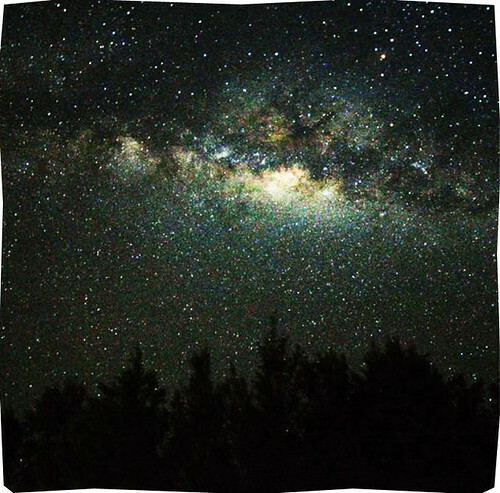 Enjoying fireflies and the most remarkable view of the Milky Way. 21.00 – 07.00 AM. Spending the night at kelotok boat. 09.00 – 11.00 AM. Transit at Pesalat to plant some trees. 11.00 – 13.00 PM. Journey to Tanjung Keluang. 13.00 – 15.00 PM. Visiting Kubu Village. 15.00 – 19.00 PM. 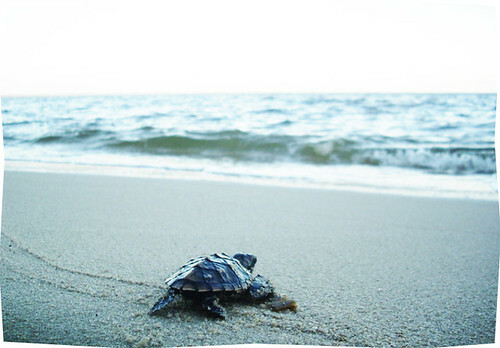 Visiting Tanjung Keluang, sunset, and releasing baby sea turtles to the sea. 19.00 – 21.00 PM. Night trek to observe the sea turtles. 21.00 – 22.00 PM. Barbeque. 22.00 – 07.00 AM. Spending the night at kelotok boat. 09.30 – 11.30 AM. Journey to Kubu Village then to Yayorin (Yayasan Orangutan Indonesia). 13.00 – 14.30 PM. After lunch, off to the hotel to check in. 15.30 – 19.00 PM. Day tour to buy souvenirs and such in Pangkalan Bun. 21.00 – 11.00 AM. Spending the night at the hotel. Day 6 – Yeah Pontianak! 11.00 – 13.00 PM. Visiting Equator Monument in Pontianak. 13.00 – 14.00 PM. Lunch in a floating restaurant in Kapuas River. 15.00 – 18.00 PM. Goodbye Borneo, Hello Jakarta. A big thank you to Ministry of Tourism and Creative Economy, Indonesia.travel, and the others for the excellent trip. This sounds amazing! 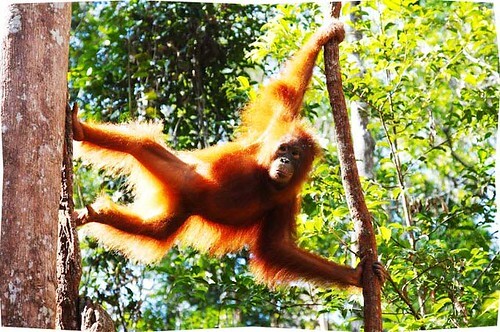 I haven’t been to Indonesia yet, but I’d love to spend time with orangutans and sea turtles, volunteer perhaps?